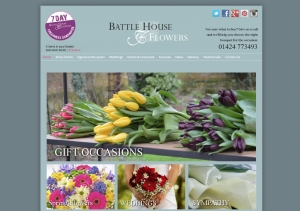 Battle House of Flowers is a client of one of my Business Coach clients, that required us to provide a marketing strategy, content marketing plan and schedule and implementation of the marketing activities. The client had a nice website and was receiving online orders from it, although was not promoting their bouquets as much as they would have liked, using social media, blog posts, lead generators and email campaigns. Design and send out a monthly email campaign with extracts and links to blog posts, news, useful tips and advice, photographs, testimonials competitions.